A new wave of pride and optimism is spreading through Turkey: it’s called 2023. It’s a plan endorsed by Prime Minister Erdogan and his ruling party, the AKP, consisting of a variety of projects to be completed by the advertized date, when the Republic of Turkey will be celebrating its 100th anniversary. The most striking of these projects was announced this past April after years of excitement and intrigue since Erdogan claimed, back in 2008, to have a crazy project in mind. 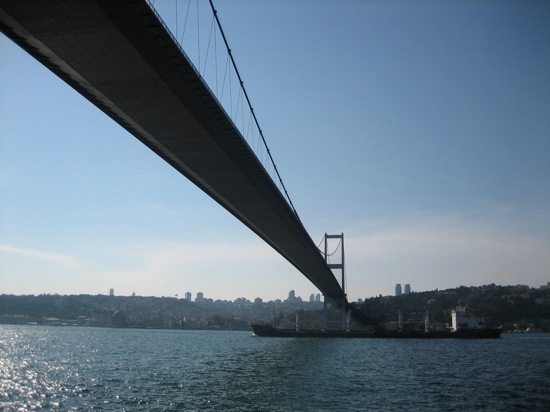 As he recently unveiled, a huge water passage of approximately 45 km will be built on the European side of Istanbul connecting the sea of Marmara and the Black Sea, with the aim of minimizing the risks and dangers associated with the traffic through the Bosphorus. The construction of Channel Istanbul, as it has been named, will prevent natural disasters such as the oil spill that occurred in 1979 after two vessels collided at the southern entrance of the Bosphorus. Moving all marine traffic out of the Bosphorus will surely prevent Istanbul from suffering the consequences of such accidents, but Erdogan sees in this project much more than an environmental security measure. Ever since ownership of the Bosphorus was deferred to an international committee Turkey has wanted it back. Today, Turkey has little control over the strait and thus lacks the right to charge significant fees to the hundreds of ships that make their way through the Bosphorus every day. 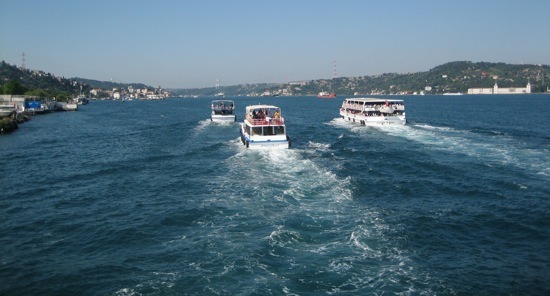 Only when Turkey owns the passage from one sea to the other will she be able to enrich herself from the daily traffic. But Channel Istanbul means more than money for Turkey. Erdogan has relentlessly used the 2023 idea to drive his electoral campaign forward, intensifying the nationalism that’s gradually spreading through the country. The mere idea of Channel Istanbul has already become a symbol of this new surge of Turkish patriotism—a sentiment that any foreigner can feel when talking to locals and walking through the streets of Istanbul. The project itself is, however, crazy. Some argue that opening such a water passage could disrupt the water patterns and chemical compositions of both seas, causing great marine damage. Others point out that the construction of Channel Istanbul would shift the population and activity of the city to the West, ruining many fertile lands and reshaping the whole concept of the city of Istanbul as we know it. Meanwhile, others wonder about the dangers of breaking Istanbul apart from the rest of Europe with a physical separation of such proportions. But as many speculate, Channel Istanbul—and in fact the whole 2023 scheme—seems to be more about what the idea can achieve today than about whether the project will actually be carried out tomorrow. It is of course no coincidence that these grand plans happen to commemorate the centenary of the Turkish republic as founded by the widely revered Ataturk. Channel Istanbul looks both to the glory of past days and to the future, signaling Turkey’s increasing relevance in the international sphere. It is an opportunity to remind the Turkish population of who they are, at a time when Erdogan needs them the most. One Response to Channel Istanbul: The Next Panama Canal? » Reporting Trips » Channel Istanbul: The Next Panama Canal?